It is still to this day the best sporting event I have ever attended. And I have attended some really good ones, including the famous Notre Dame Basketball "88 and 1" game in 1974 in which the Irish handed Bill Walton his very first loss at any level and broke the UCLA Bruins 88 game win streak. But October 15, 1988 was the most intensely competitive sporting event I have personally witnessed. It featured two of the most talented teams in college football history in an epic collision of what could not be more contrasting views of the way that college football should be played. ESPN Film’s recent 30 for 30 episode, entitled “Catholics vs Convicts,” documented the game and prompted me to reflect on and record my personal observations of the events of that day. What I love about college sport is its celebration of the spirit of competition. Amateur sport played not for money, but for the love of your teammates, your school and the game itself. I love the pageantry before, during and after the game. Among my favorite moments of a college football game is the playing of the national anthem, and at Notre Dame, the playing of the alma mater after the game. Tradition, sportsmanship, and respect for your opponent are fundamental values of Notre Dame Football. These are values that Ara Parseghian and Lou Holtz stood for and taught their players to live by. I admire and respect teams that play the game in recognition of these time-honored values. "Why wait, hate Miami now!" On October 15, 1988, I was a first year law student at the University of Notre Dame. I'd graduated from Notre Dame as an undergrad in 1975, served in the Marines, and had returned to Notre Dame to change careers. I was very recently married and had two football season tickets in the student section for me and my wife Kristin. My brother Pat, a lifetime Notre Dame fan, had never seen a game on campus and I invited him to attend the Miami game. Another student was kind enough to sell me another ticket for my great friend Ralph Squaglia who drove over from Chicago for the game. Ralph is a sports fan, but had no particular allegiance to Notre Dame or Miami. The whole country knew that these were two of the very best teams in college football. By my count, the Notre Dame team had at least twenty players who later played in the NFL and Miami had at least nineteen. Both teams were undefeated, Miami was the defending national champion and ranked number one and Notre Dame was ranked number four at the time of the game. There was a palpable electricity in the air on the morning of the game. The campus was packed and everyone anticipated a highly competitive game. Walking around the campus on the morning of the game, my friend Ralph talked about how “fired up” he was for the game, even though he wasn’t particularly invested in the outcome. The legendary "fight in the tunnel"
ESPN’s 30 for 30 episode describes the pregame fight. In that episode, Miami’s coach Jimmy Johnson states that Notre Dame started the fight. I will give Jimmy Johnson the benefit of the doubt and just say that his memory in that regard is not very good. From my vantage point, no more than 150 feet from the location of the brawl, this is what happened: the Notre Dame team was completing its pregame warmups. These were the same warmups that I had seen them do in the seventies, with the team stretched out in lines between the goal line and perhaps the fifty yard line. The Miami team had concluded their warmups. Most of the Miami players circled around the Notre Dame team down the sideline to the end zone towards the tunnel. More than a few Miami players ran directly through the lines of the Notre Dame team towards the tunnel. The Miami team lined up along the back end of the end zone in front of the tunnel and began taunting the Notre Dame team. They pointed and gesticulated at the Notre Dame players. This was a common practice of the Miami teams during the Jimmy Johnson era. The 1986 Jimmy Johnson coached Miami team was highly controversial. That team was involved in pregame hostilities with several teams including documented episodes of taunting opponents in games with Florida State and Oklahoma. In the 1987 Fiesta Bowl, the Miami team arrived wearing combat fatigues, staged a walkout at a pregame steak fry with the Penn State team, and shouted obscenities at Penn State fans before the game. The 1987 team continued its practices of intimidation and violence on the field. 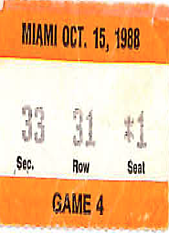 The 1987 game between Miami and South Carolina was marred by a 4th quarter brawl. South Carolina’s wide receiver Sterling Sharpe, later a star receiver with the Green Bay Packers, said of the Miami team: “They try to intimidate people and we knew that coming in . . . That’s just their style of play, to intimidate.” The University of South Carolina discontinued its series with Miami after the 1987 game and the teams have not played each other since. Jimmy Johnson and Miami players and fans complain today about the “Catholics versus Convicts” t-shirts and the resulting legacy. While the Miami team’s conduct and reputation during this era may not entirely justify the appellation “Convicts,” this context explains why the phrase “Catholics versus Convicts” resonated with Irish fans and the larger viewing audience in 1988. 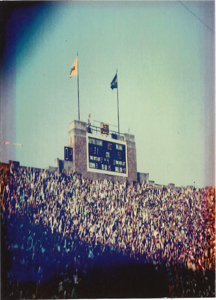 At Notre Dame Stadium in October, 1988, as the Miami team continued its taunting from the back of the end zone near the tunnel, the Notre Dame team concluded its warmups and started to move towards the tunnel and their locker room. The Notre Dame captain, Ned Bolcar, who later played for the Seattle Seahawks and the Miami Dolphins, was closest to the tunnel. He turned towards the tunnel and moved into the end zone. I saw him wave his arm towards the Miami team, motioning them to step aside. The Miami team did not step aside. They blocked the entrance to the tunnel. A few of the Miami players moved aggressively towards Bolcar, continuing to taunt him and point at his face at closer and closer range. But Bolcar was not going to back down. He continued to move forward towards the tunnel. When the Miami players moved to within a few feet of him continuing to shout and point threateningly at him, he retaliated and launched himself at one of the Miami players in the back of the end zone. The rest of the Notre Dame team followed him and the melee that then ensued was captured on the CBS telecast. It was a huge brawl, with punches thrown and helmets swung. Several police officers intervened to break things up. The Miami team was outnumbered with their limited traveling squad against the full contingent of the Notre Dame home team. The Miami team retreated up the tunnel and into their locker room after which the Notre Dame team went up the same tunnel to the home team locker room. This pregame confrontation between the teams heightened the intensity and set the tone for the game that followed. It was a perfect October day in South Bend, temperature in the mid seventies and fans in short sleeved shirts and shorts. The stadium was in a full-throated roar for the entire afternoon. The game was sensational: filled with spectacular plays and big hits by both teams starting with a hard tackle by Notre Dame’s Andre Jones on the opening kickoff. In the first half, Miami’s quarterback Steve Walsh took a blow to his chin causing a bleeding wound that required a large bandage which he wore throughout the game. Walsh was spectacular. He was under pressure the whole game, but he continued to hang in the pocket and threw for more than four hundred yards, then a record for any team playing against Notre Dame. Cleveland Gary also had a sensational game. He made a number of acrobatic catches out of the backfield and ran the ball with power and grace. Lou Holtz did his usual masterful job of implementing a well designed game plan. He directed a balanced attack, running the ball for more than 160 yards and passing for more than 210. He smelled out a fake punt midway through the third quarter which was a big turning point. Immediately after the fake punt, Ricky Watters made a great grab inside the ten yard line of Miami which led to a go-ahead touchdown by the Irish after which they never trailed. Frank Stams dominated the game on the Notre Dame defensive side, forcing fumbles by Walsh and tipping a ball that led to an interception and a Pat Terrell touchdown. Jimmy Johnson and some of the Miami players to this day complain about the Cleveland Gary fumble call midway through the fourth quarter, with Miami down by a touchdown. But there were other controversial calls in the game which went Miami’s way, including the touchdown catch by Andre Brown with 45 seconds left in the game that replays show was definitely not a catch. The 30 for 30 episode has some nice clips of the reaction of Jimmy Johnson and Cleveland Gary on watching the replay of that call where they acknowledge the fact that the ball was trapped and never caught by Brown. But this game should not be remembered for the officiating, it should be remembered for the ferocity of the competition between two great teams and the dramatic events on the field. I give Jimmy Johnson credit for going for two with 45 seconds left and the score 31-30. There was no overtime in 1988 in college football and if Miami had kicked the extra point, the game would very likely have ended in a tie. But when Pat Terrell batted down Steve Walsh’s two point conversion attempt pass in the end zone, ending Miami’s three year, 36 game regular season winning streak, Notre Dame Stadium shook. So why does this game, played almost three decades ago, still hold such strong memories? Why has the game been overwhelmingly voted by Notre Dame fans as the best game in the history of Irish football? I think because the game was a historic confrontation between two teams that represented very different philosophies about the way the game should be played. Most college football programs that I have been around, but Notre Dame’s program in particular, are about tradition, sportsmanship, and respect for one’s opponent in a competitive arena. In 1988, Notre Dame stood for tradition and these ideals. It still stands for these things today. In 1988, Miami was the brash, outspoken, talented, bullying, opponent taunting, touchdown celebrating, proud to be renegade, dominating force in college football. They received acclaim and criticism during those times. Their coach fostered an atmosphere of lawlessness, boastfulness and intimidation of opponents. Their supporters reveled in the team’s reputation for intimidation, physical dominance and showmanship. But in this game, on that day, Notre Dame stood up to Miami. Notre Dame would not be bullied or intimidated. Notre Dame fought back hard and eventually prevailed against an opponent that many thought could not be beaten. On that day, Notre Dame proved that a team could compete at the most intense of levels and win with class while respecting tradition. And that is why the 1988 Notre Dame-Miami game is the best sporting event I have ever seen. Mike Gearin appears by permission. 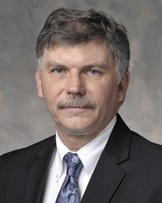 He is a partner with the law firm of K&L Gates in Seattle, WA, specializing in Bankruptcy Law. He has worked on some of the biggest bankruptcy cases in history, including Orange County. Mike is a graduate of the University of Notre Dame and earned his JD from the University of Washinton. He was a standout basketball player in his youth, and has coached at both the youth and high school levels in Seattle. Mike lives in Seattle with his wife Kris. "Bridgedale Academy is honored to have Mike Gearin as a contributing writer on our blog page. At Bridgedale we are committed to the development of our young student-athletes, helping them to develop their physical and mental skills so they can perform at their best when it matters most, no matter the arena of life that challenges them. If you would like to learn more about Bridgedale Academy, please click the button below so we can schedule a time to chat." You might also enjoy reading our blog at: "Top 7 Reasons for a Sports Academy Like Bridgedale Academy"
Bridgedale Academy is an all-boys school for athletes, a sports academy for serious youth hockey players. We are offering grades 5 through 9 in this 2017-18 school year. In addition to our winning combination of sports and academics, we focus on leadership training. We use a classical academic curriculum and our graduates go on to attend some of the most prestigious high schools in the midwest, including Lake Forest Academy, Culver Military Academy, Shattuck St. Mary’s, Northwood School, Benet Academy, Fenwick Prep, St. Ignatius Prep, Marmion Academy, Latin School and Providence Catholic. Eight of our former students have already received their NCAA Division 1 college hockey commitments. Three of our former students now compete for USA Hockey’s National Team Development Program.